“When that whole ocean comes and rises up, where are we going to go?” ponders Inherkowinginambana, a Kunjen elder from Kowanyama, a coastal Aboriginal community in tropical Queensland, Australia. 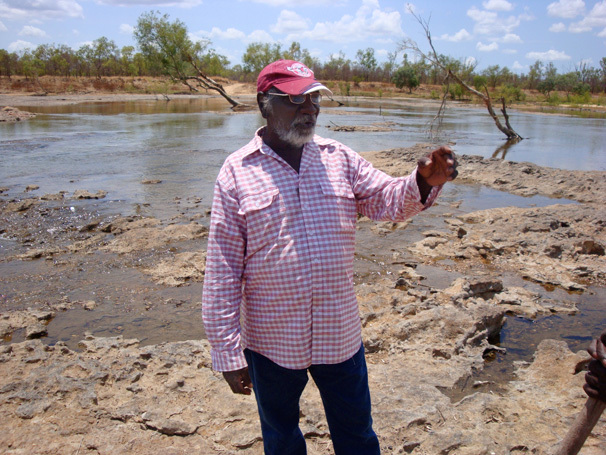 “Every year it (the tide) comes in, it goes a bit further up….once it hits the swamps, that will kill all the plant life, and the waterways,” adds an Aboriginal ranger who works with local elders to protect Aboriginal country and culture. These tidal changes are not unique to Australia. Global climate change is increasing sea level worldwide. Historically, scientists have documented a wide fluctuation in sea level rise. However, 20th century sea levels are substantially higher than those of the last few thousand years and scientists now agree that this is related to the recent climatic warming trend. So how does climatic warming lead to sea level change? Research has shown that thermal expansion of sea water is the leading contributor to sea level change. As the temperature increases, the ocean warms, causing water to expand and the sea level to rise; similar to what happens when bottled water is left out in the heat. Thermal expansion, however, is not the only contributor. Scientific studies have already documented a 5 – 6 inch increase in sea level and the Intergovernmental Panel on Climate Change estimates that the global average level will rise a further 0.6 and 2 feet or 0.18 and 0.59 metres in the next century (the video makes reference to 0.49 to 0.89 metres relative to 1990 based on a recent report from the Australian Reef & Forest Research Centre). On the Australian coasts, scientists predict that this increase in sea level rise could cause beaches on the coastline to recede by about 100 times the vertical sea-level rise; meaning that coastal beaches could erode by 18 to 59 meters in the next century unless preventive measures are taken. 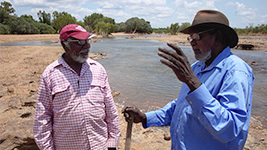 Kowanyama means “plenty of water” and for centuries the Kokomnjena, the Kunjen, and the Kokoberra Aboriginal groups of Kowanyama have thrived on the abundance of water — the months of rain and floods during the wet season, the vast ocean waters, and the freshwater rivers and streams. Like other coastal peoples, Aboriginal people living on gulf coastal plains in Kowanyama are particularly susceptible to even the most minor changes in sea level. Also, the predicted increase in tropical weather events in this flat country means monsoon flooding of one of Australia’s largest river systems could well occur before major sea level change. This already seems to be happening and there is concern regarding the impact on Kowanyama — forty kilometres from the coast but located within the greater delta of the Mitchell river — because during the wet season, flooding pumps a freshwater plume 3 kilometres out to sea. 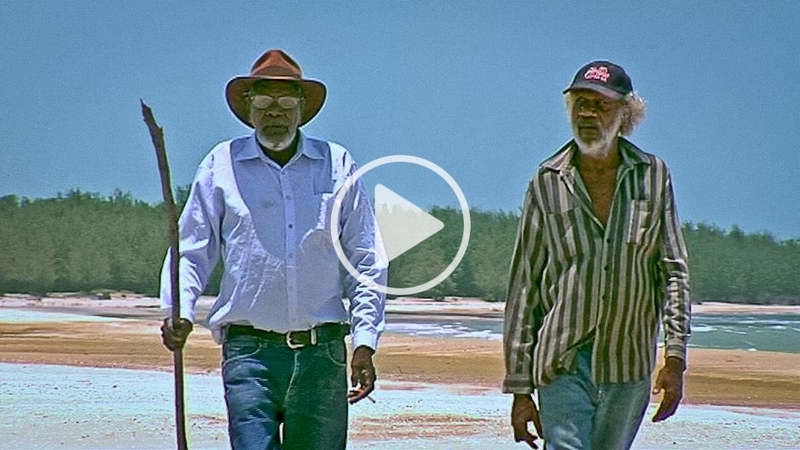 The delicate balance between saltwater and freshwater has nurtured life in this arid land. The peoples of this region have relied on the separate but complementary saltwater and freshwater ecosystems for drinking water, hunting and foraging. But sea level rise could also result in the intrusion of saltwater into the freshwater ecosystem and this fusion of waters would lead to environmental changes that even the “plenty of water” Aboriginal people are not prepared for. Without access to freshwater and the biodiversity that depends on the freshwater ecosystem, the Aboriginal people of Kowanyama may be forced to adapt to a very changed coastal landscape. For those living in Kowanyama, the balance of saltwater and freshwater not only nurtures the physical body but also sustains spiritual and cultural life. The mythologies or “dreaming stories” of this country recount how many years ago, the Kitehawk, an ancestral being, built a large stonewall to stop the tidal water from flooding the land and its people, while other clever ancestral parrot beings heaped up coastal dunes to keep the sea out. As Inherkowinginambana kneels to examine a cultural object hidden in the sand, he explains how these artifacts carry knowledge about the land and how important it is for Aboriginal people to respect and protect these artifacts and this knowledge. However, as the sea level rises, the tidal waters are slowly sweeping these artifacts away and that process threatens the ancestral stories and attachment to country of the Aboriginal peoples of Kowanyama. These biophysical changes are encroaching on spiritual and conceptual boundaries that are so integral to the Aboriginal identity. This video brief and article complements the on-going Indigenous Peoples Climate Change Assessment. It forms part of the work of the UNU-IAS Traditional Knowledge Initiative. The UNU would like to thank the Christensen Fund for their support for this intiative. Sea level rise in Kowanyama by Ameyali Ramos Castillo is licensed under a Creative Commons Attribution-NonCommercial-ShareAlike 3.0 Unported License. Ameyali Ramos Castillo is an Adjunct Research Fellow working on the Water Management and Climate Programmes at the UNU-IAS Traditional Knowledge Initiative. Her work focuses on exploring interlinkages between global environmental issues and Indigenous Knowledge systems and on highlighting the role that Traditional Knowledge plays in developing sustainable solutions to pressing global environmental challenges. Before joining the TKI, Ameyali was a consultant and a PhD Fellow on the Science Policy for Development Programme at the UNU-IAS. Ameyali is completing a doctoral degree on Cultural Rehydration of Water Governance at the Oxford University Centre for the Environment and the Oxford University Centre for Water Research. Her research focuses on understanding the transformation of water governance arrangements and indigenous governance systems in Latin America.